These bags measure 10" high X 8" wide X 1/2" deep. 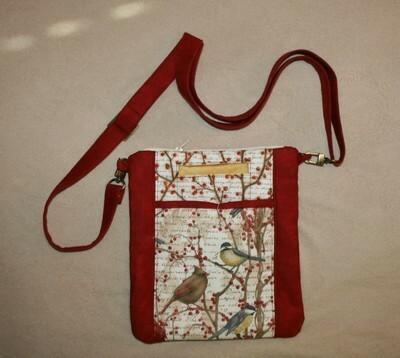 They have a front pocket and pockets inside with and adjustable strap that can be worn over the shoulder or "cross" body. They have a zippered top for closing.